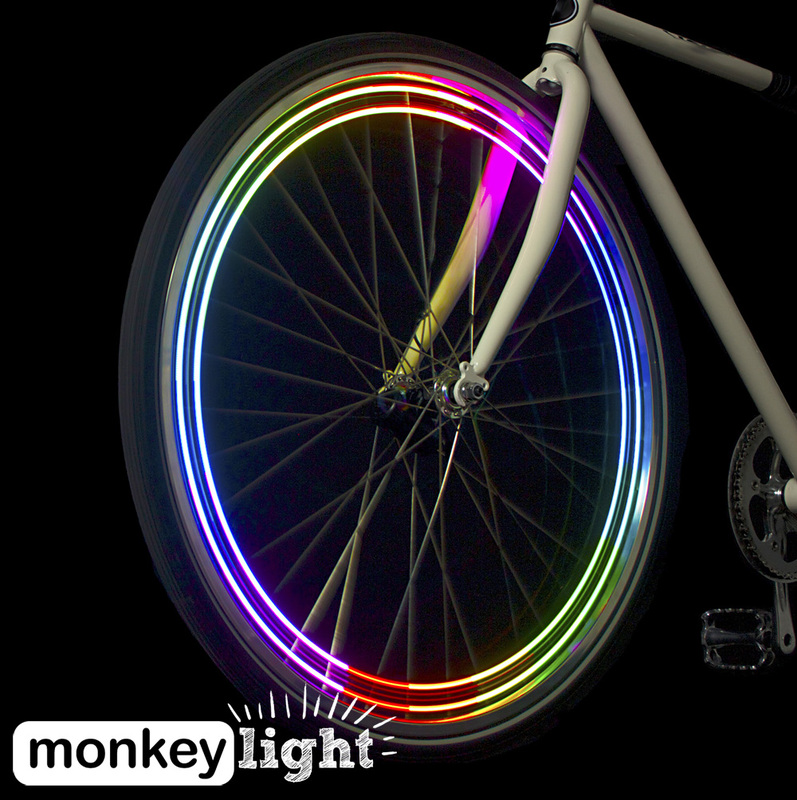 The Monkey Light Pro creates stunning hologram-like images and animations within a bicycle wheel. 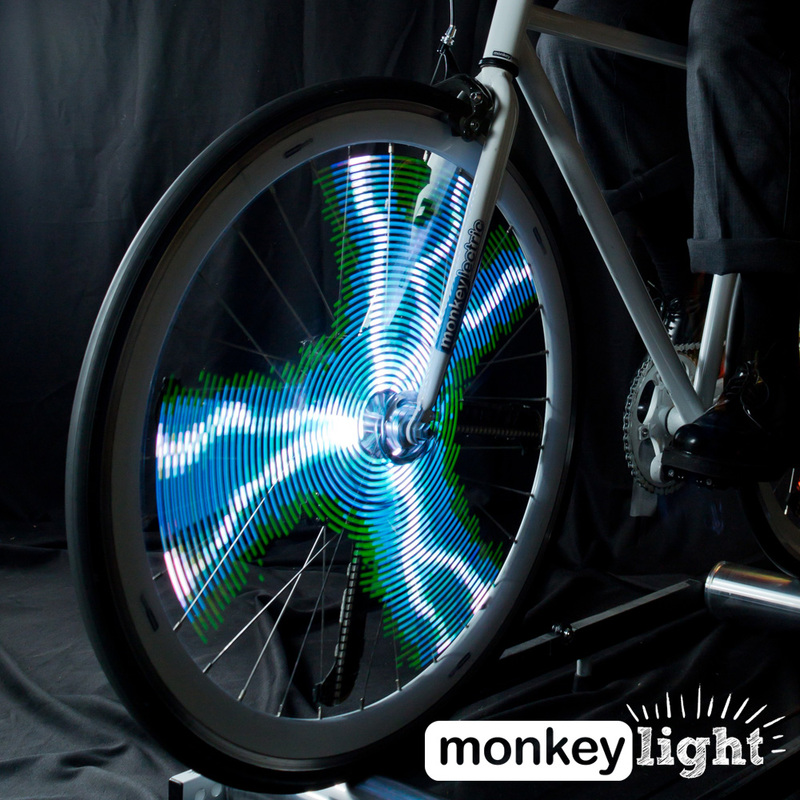 Once you're rolling, the display fills the bike wheel and is visible from both sides. 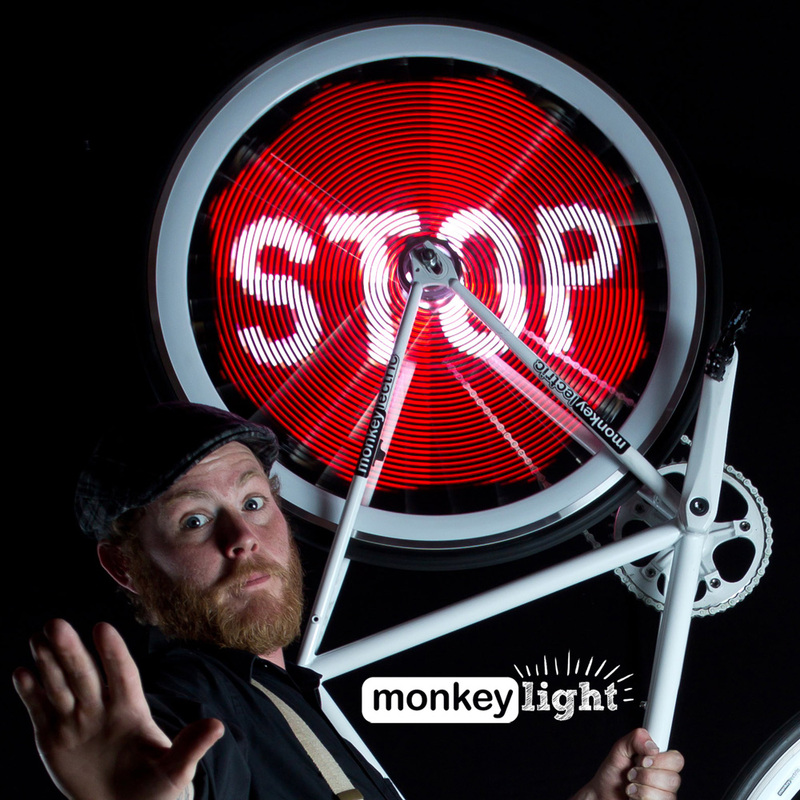 The Monkey Light Pro is waterproof and durable, and is designed for use on city streets. Crank your bike to eleven. 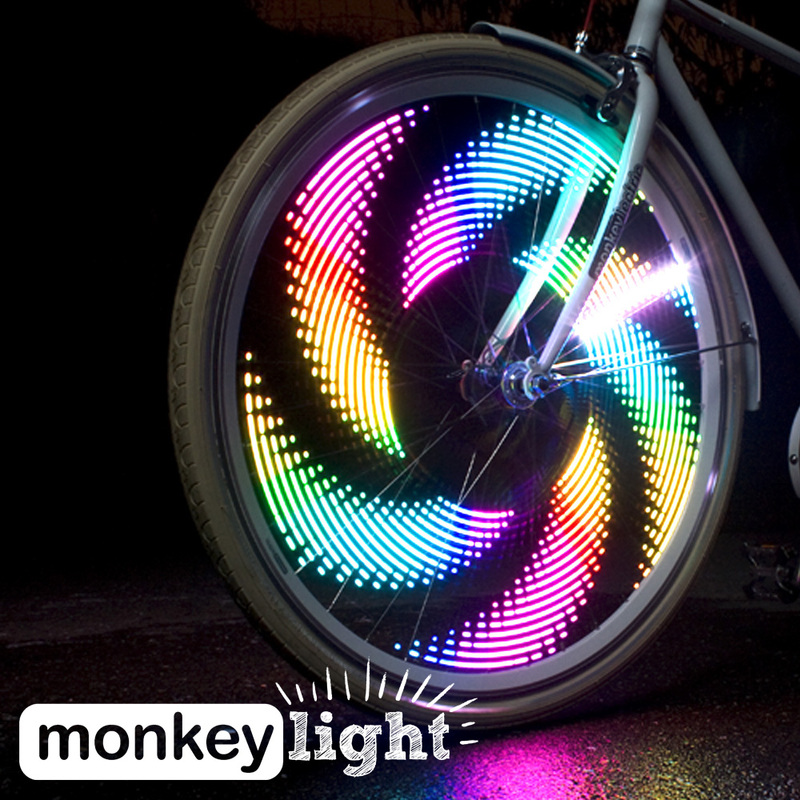 Monkey Light Pro is designed for professional use including marketing, advertising and artistic applications. It's the only system available that meets the needs of highly demanding professional users. 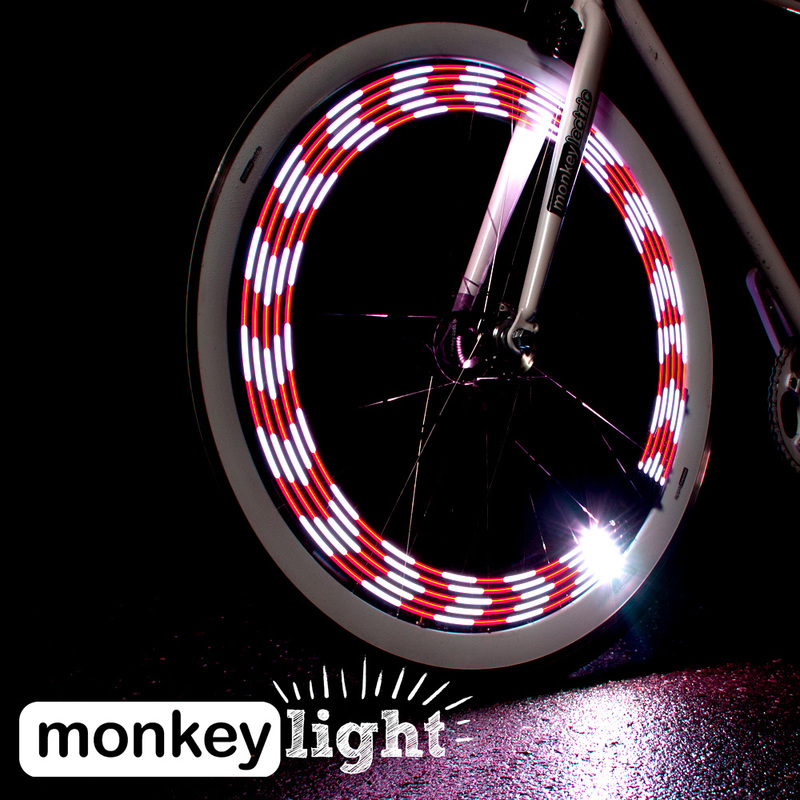 Download images and animations to the Monkey Light Pro to create the appearance of a floating 3D wheel display as you ride. Use our Mac OSX or iOS applications to create a playlist with your own graphics, or choose from our collection of custom artwork. Then wirelessly send your playlist to the Monkey Light Pro. Paypal orders are processed directly by MonkeyLectric USA. Orders placed today will ship within 10 days. 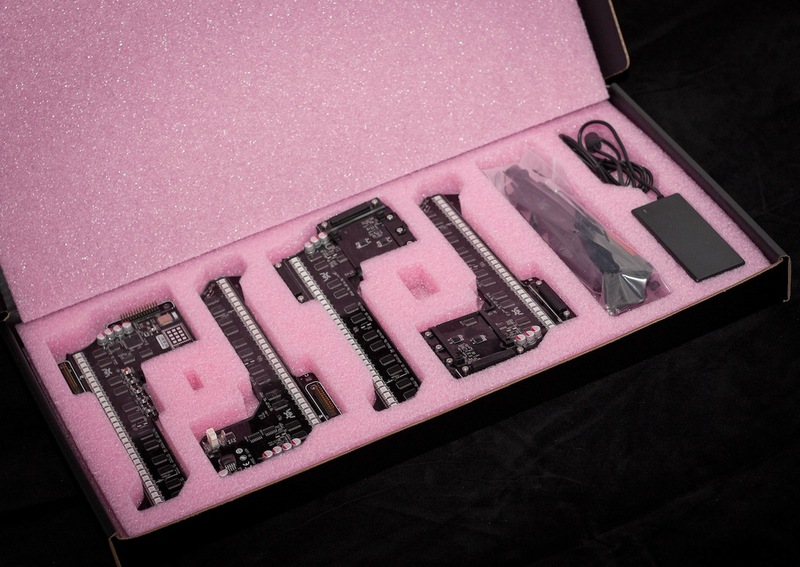 Orders are shipped worldwide with Fedex 3-5 day service. International customers: you may be responsible for importation taxes when you receive the product. Amazon.com orders are processed and shipped by Amazon. Amazon.co.uk orders are processed and shipped by Amazon UK. All EU customers are recommended to order from here. Wheel fit: 26", 700c, 29". Maximum hub diameter 54mm. Application developers are welcome and encouraged. Our playlist, download and control software and API are available with an open-source license. 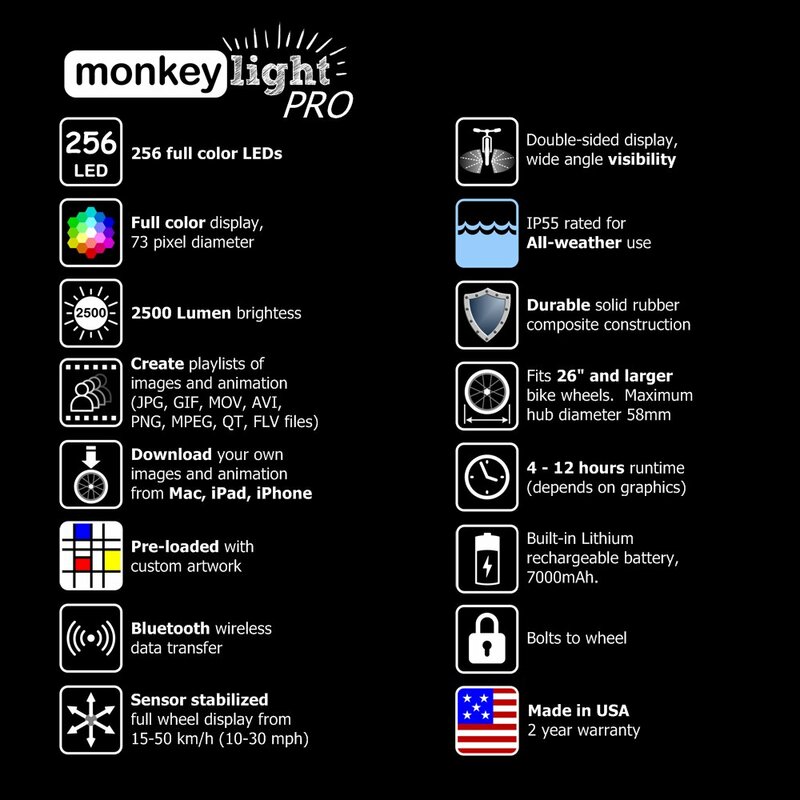 Use Bluetooth wireless to download graphics and control the Monkey Light Pro. Make a moving installation with a bicycle, or use our POV360 powered display stand for fixed installations.